Mar 1 Convention Connection: @BlackMaskStudios Is Headed To #ECCC 2017! All of us here at Black Mask are excited to once again be supporting creators throughout Artist Alley and also to be running an official Black Mask booth on the ECCC showfloor for the first time! The Black Mask Official Booth will be located at Booth 834. BLACK MASK: DEBUTING TOMORROW'S LEGENDS Mar 02, 2017, 5:30 PM - 6:30 PM TCC 305 Program Description: Fresh off a dazzling run with breakout books Space Riders, Black, Kim & Kim, 4 Kids Walk Into A Bank, The Dregs, We Can Never Go Home, and Young Terrorists, Black Mask has made a name for itself as the hottest launchpad to debut new talent and as the home for some of the coolest, most provocative comics around. 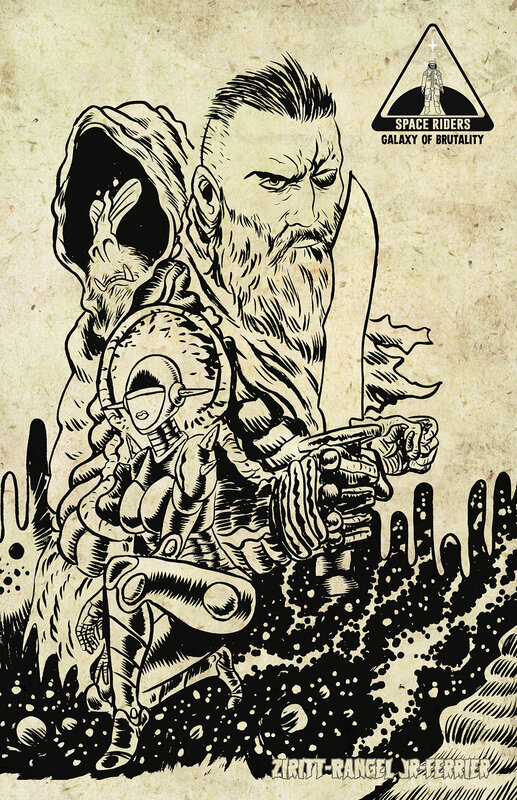 Join Black Mask co-founder Matteo Pizzolo (Young Terrorists, Godkiller, upcoming Calexit) and creators Matthew Rosenberg (4 Kids Walk Into A Bank, We Can Never Go Home), Vita Ayala (upcoming Our Work Fills The Pews), Eric Palicki (No Angel), Magdalene Visaggio (Kim & Kim, Quantum Teens Are Go! ), & more special guests for a wide-ranging discussion of how new creators and new ideas are changing comics and how YOU can be a part of it. 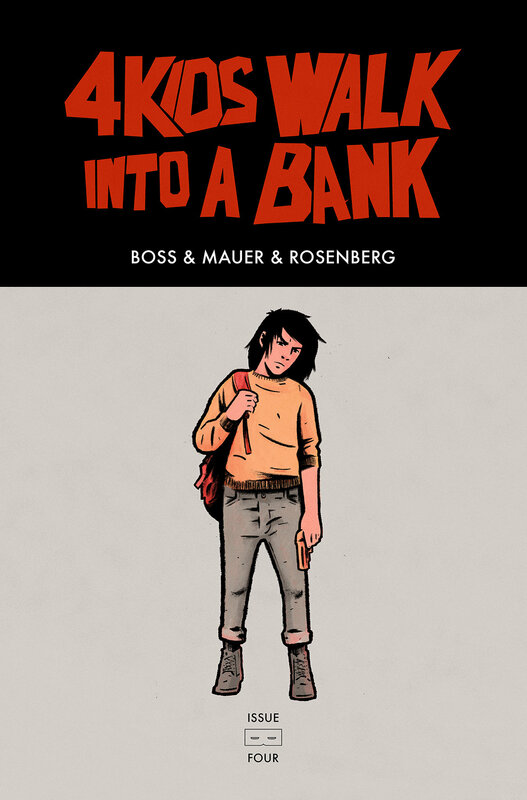 4 KIDS WALK INTO A BANK #4 - ECCC Exclusive - Limited to 101 Available at Table A12 *Rosenberg & Boss will be donating 100% of profits from their variant to the Northwest Immigrants Rights Project (http://blackmaskstudios.us11.list-manage.com/track/click?u=fba994e7f1260baec4a1acde0&id=e18d0c16ac&e=6f0a21bfc3) which is a non-profit organization that "promotes justice by defending and advancing the rights of immigrants through direct legal services, systemic advocacy, and community education." Mar 2 Convention Connection: @ApenComics Is Headed To #ECCC 2017! Mar 1 Convention Connection: @BoomStudios Is Headed To #ECCC 2017!